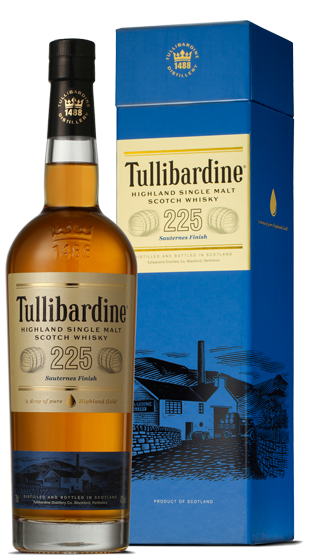 Tasting Note: Tullibardine 225 Sauternes is finished in Sauternes dessert wine casks from Chateau Suduiraut in Bordeaux, the nose majors in citrus fruits, vanilla, pepper, and a discreet herbal note. Citrus fruits carry through to the spicy palate, with Jaffa Orange to the forefront, plus malt. Spicy to the very end with milk chocolate and a suggestion of passion fruit.